It’s cold & you are out and about? The Wool Buff® as scarf gives you great comfort. It’s a wonderful winter day. You’re out in the country site for a hike. The Wool Buff® as a scarf is one of the most popular ways to wear here. The merino wool makes it also super comfortable. 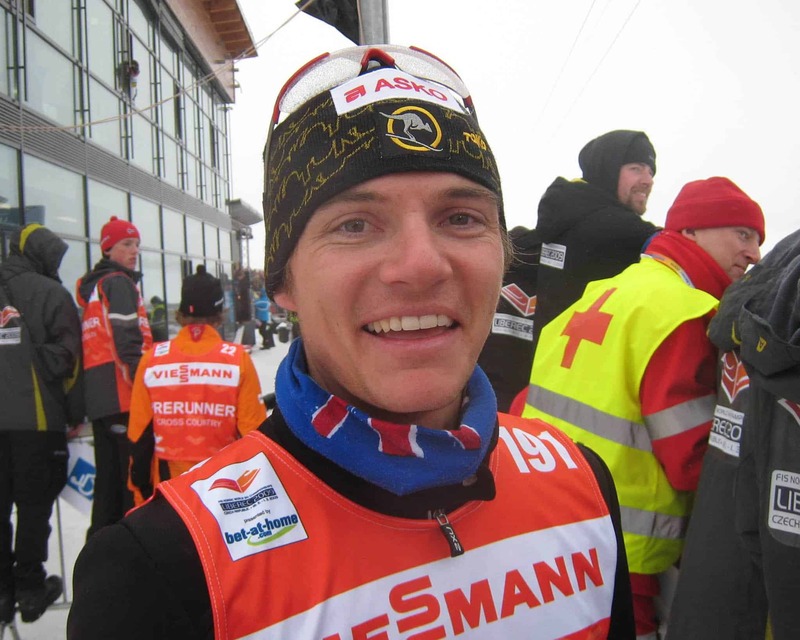 The photo was give us as promo material for the 2009 winter season. I assume it’s taken somewhere in Catalonia in the mountains outside Barcelona. The designs pictured are solid colours. The fabric is dyed. 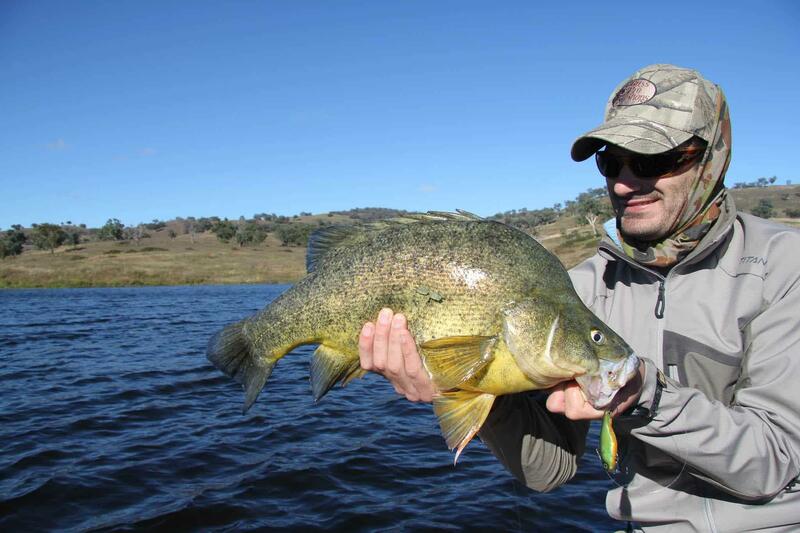 For all available Wool Buff® designs click here. Polar Buff® & Neck Warmer Buff® keep you cosy warm. The Original Buff® he is wearing is more for chill protection. Don’t we all dream of this? Ski holidays with lots of love & snow. She definitely wants to be cosy warm. A Polar Buff® as scarf is super warm. It also keeps the chill from entering the jacket. A Neck Warmer Buff® as beanie keeps the head cosy warm. The two together are great if you’re not moving much or you hate the cold. He seems to be more on the sporty side. Very energetic skiers & snowboarders are happy with just the Original Buff®. All they need is chill protection and wicking the sweat away. The Original Buff® excels here. Go colourful. It’s for your holiday. For available Polar Buff® designs click here. Hair flying around and sweat running down your face? The High UV Buff® as neck cooler or hair band rids this. Your hair is flying around. Your sweat is running down your head. The designs are Cashmere Blue and a old logo design. The number 1 use on adventures. A comfort scarf if you’re a little bit out of your comfort zone. 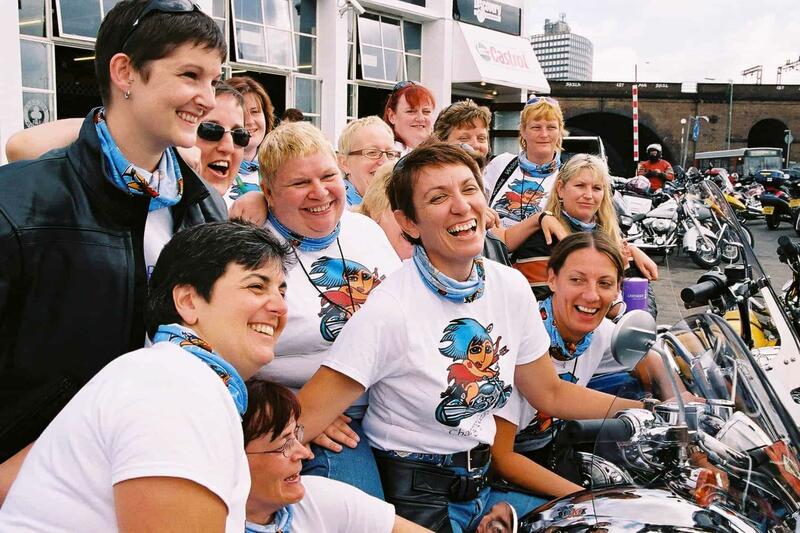 The image shows the AmazonHeart group on their first UK ride in 2005. They are outside the Ace Cafe in London. 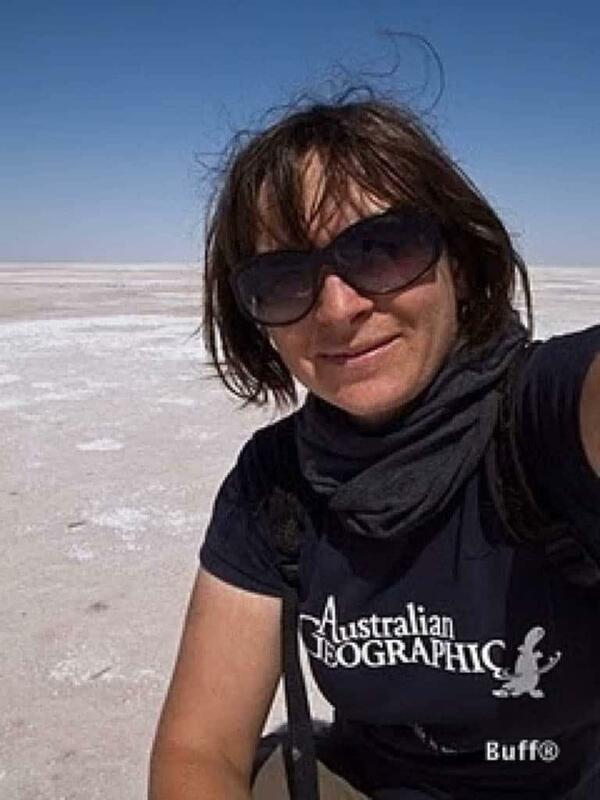 AmazonHeart organises adventures for women that have survived breast cancer. It’s all about getting back to embrace life to the fullest. As you can see they all wear their Original Buff® the same way. Coming. Please let me know if you’ve found a good one on the net. The design is a custom made AmazonHeart Design. For Original Buff® designs click here. Coming. Please let me know if you’ve found something similar on the net. Your child just broke an arm? Why not use a Buff® as sling. 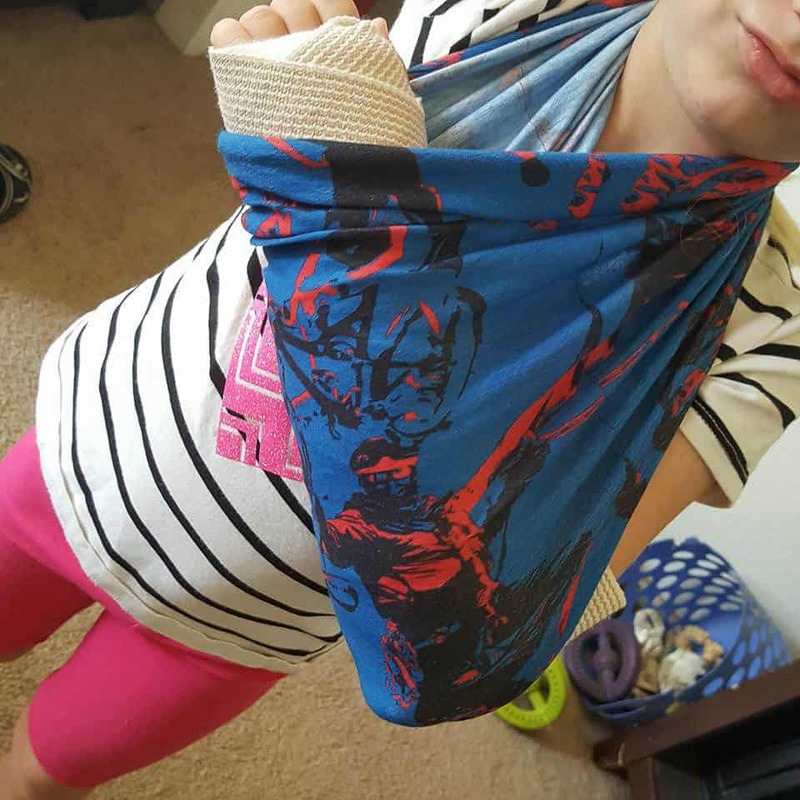 One of the many ways to make use of a Buff®. For all available Infinity Buff® designs click here. You’re out of your comfort zone exploring the world. Nice to have a comforting scarf with you. 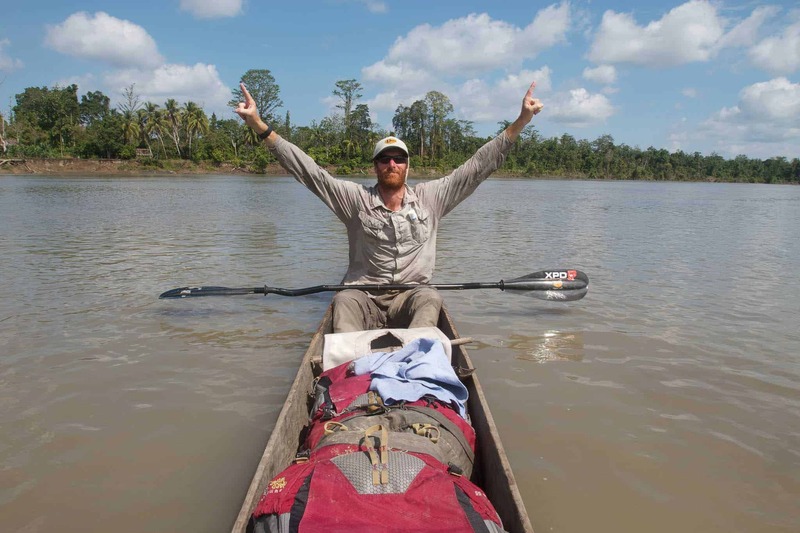 The Wool Buff® is super comfortable and a favourite among globetrotters. 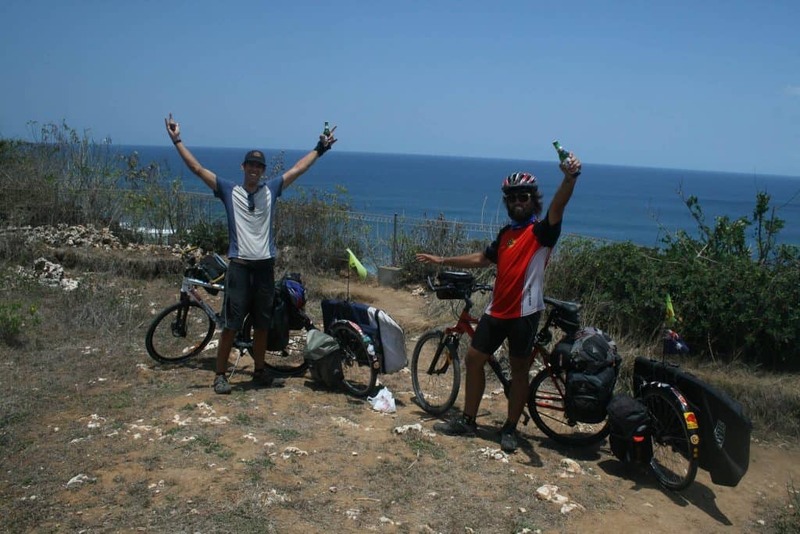 It doesn’t matter if your discovering the world on your motorbike, your bicycle or hitch-hiking. 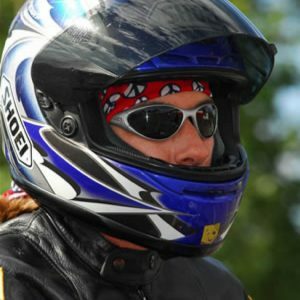 Pictured is Danielle Murdoch of motormonkeyadventures.com fame. She travelled from Australia over Asia to Africa with a motorbike she got of Ebay. She loves her Wool Buff®. At this stage she probably didn’t know about the helmet hair solving ability of Buff® headwear. Now she’s got a guide on that issue. Everything goes 🙂 I recommend some colour to brighten up the black motorcycle gear. So your helmet is gunky and smells. It takes hours to clean and yet the smell comes back. Next time you clean it use a anti-bacterial treatment like Polygiene. Then use a Buff® to keep it that way. A Buff® is anti-bacterial for life and kills germs. The source of the smell. Buff® uses Polygiene™. The best anti-bacterial technology money can buy. Are your side cushions also worn out from your beard? A Buff® as helmet liner will prevent that too. The design shown is Cashmere Blue. It is a evergreen in the collection. 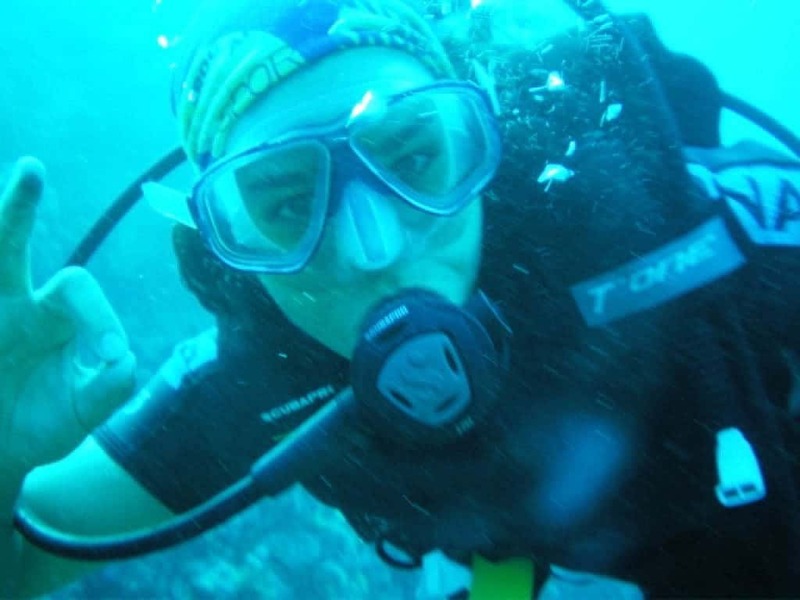 Skin cancer protection for the face is the number 1 reason Fisho’s wear a High UV Buff®. This image sums it all up. The sun hitting your face merciless all day. UPF20 adds extra skin cancer protection. Sun cream causing all sorts of skin issues after a while. UPF20 lets your reduce it. Then the heat and the ocean’s breeze wearing you down. Uses sweat to cool you and the wind doesn’t touch your skin. Fit: Doesn’t wear out or loose grip. Ours are 10 years and going strong. Bacteria around mouth & nose: None. It kills bacteria for a lifetime. The image was taken by Pat Ford somewhere in the Florida flats. 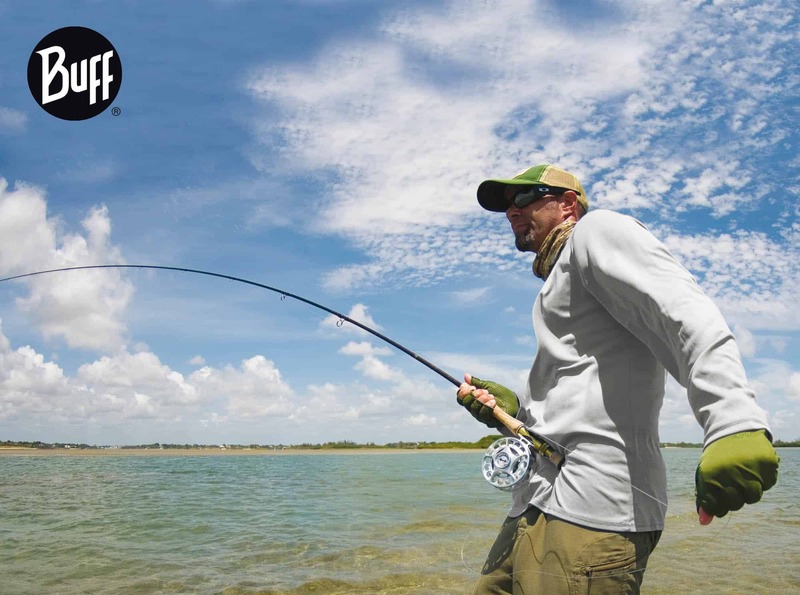 It kick-started the High UV Buff® in international fishing. For maximum cooling effect wear the inside on the inside. Blue is a great colour for UV absorption and cooling. 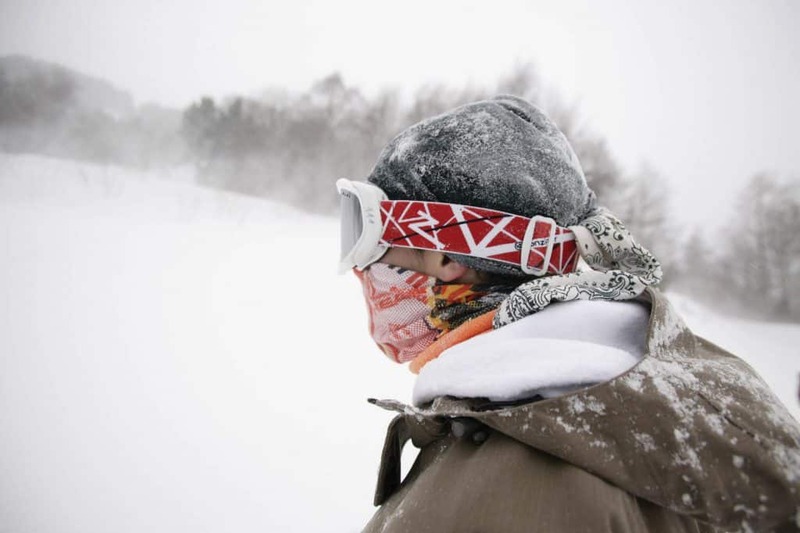 A Polar Buff® as face mask keeps the snow out of your face. The fleece keeps your neck wonderful warm. You’re high up on the slopes & the weather goes south. Good if you’ve got a Polar Buff® with you. This guy’s got two with him. Use the fleece part to keep your neck warm. Pull the Original Buff® part up as a face mask. Here you’ve got a great balance of chill protection & breathability. Who wants a frozen face :-). In his case I would probably put a second layer of fabric over my chin. I like to be warm around the chin. 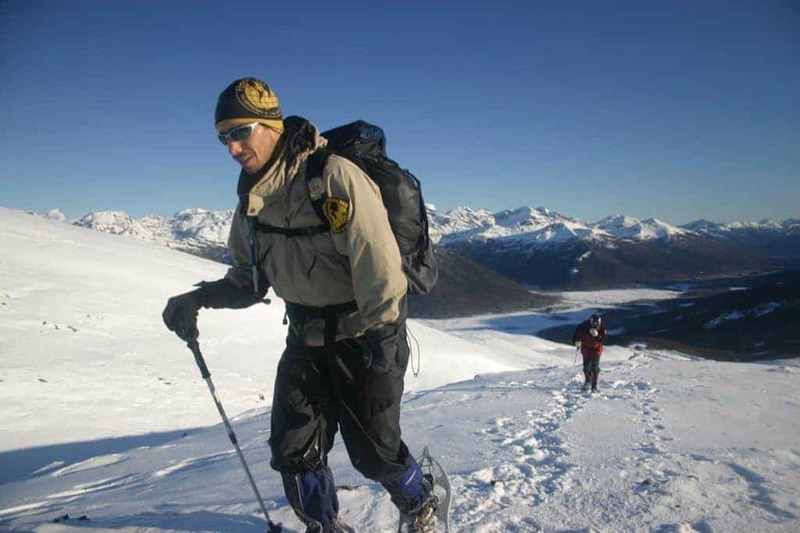 The extra length of the Polar Buff® allows for this. I find the 2nd Polar Buff® a bit of overkill. I would rather go for a Wool Buff® or a Original Buff® as a 2nd Buff®. This way you have more flexibility. Extreme Cold? The Original Buff® seals of the neck collar. The weak link in extreme cold weather gear. 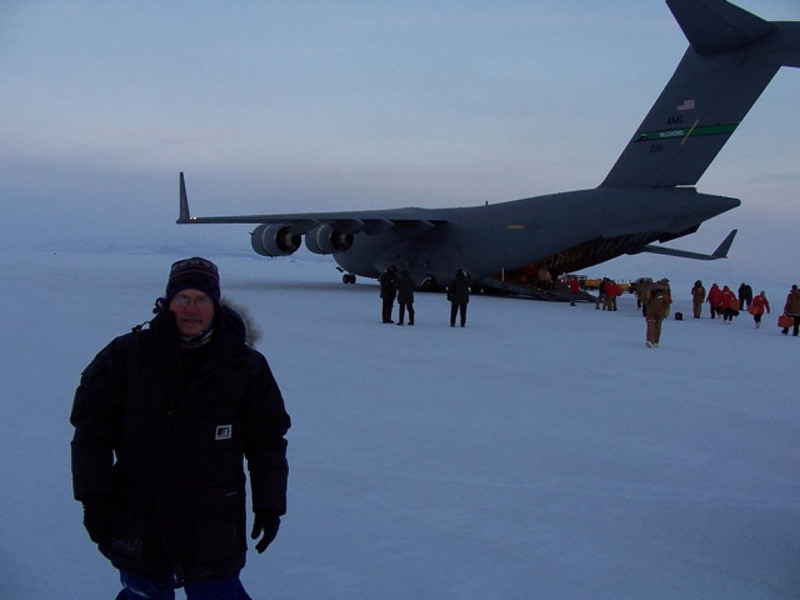 Michael arriving at Scott Base, Antarctica. 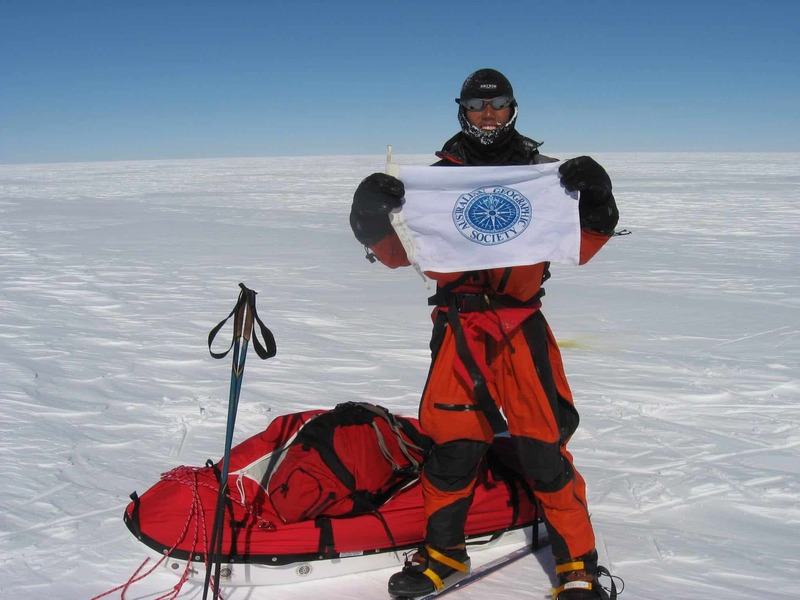 He send us this image because we couldn’t believe that the Original Buff® does something good in extreme cold. Turns out it’s great to seal off the jacket collar. The same reason motor bikers love it. Cold wind gets through every nook & cranny. Especially if you have a hood attached like Michael’s overall. The Original Buff® as warming scarf just fills out every opening and seals off the collar. Source: Michael Nottage, Purchasing Officer New Zealand Antarctica. Received as part of a testimonial. Copyright: Permission to use on our website. Feeling warm during your hike? The Original Buff® as neck cooler gives you heat relief. It’s warm, it’s stuffy. You are trekking and wouldn’t mind some heat relief. Just wear the Original Buff® loose around your neck as neck cooler. Make it a bit moist to enhance the effect. This is way better than having to sweat. If it’s not humid the Original Buff® does a great job. If you’ve got a smaller head & thin neck like the woman pictured I recommend the Slim Fit Buff®. It’s a Original Buff® in a smaller size. For the man in the background I recommend sticking with the Original Buff®. This photo was taken during a photoshoot for the 2008 Buff® summer catalogue. The colour doesn’t matter for this application. Just be aware that light colours look dirty very quickly. For multi-day hikes I recommend to go darker than the one pictured. A biting wind in your face? Just pull the Wool Buff® up. This is were tubes rock. It’s around your neck & your cheeks are freezing. A simple pull up your face and you have a face mask. The Wool Buff® has the loosest fit of all tubes. It’s also the longest. This gives you lots of layers to go from chill protection up to really warm. The image is a studio shot and was released with the 2012 winter catalogue. The design pictured is tie-dyed. Every piece is unique in a way. The Polar Buff® as Balaclava provides warmth around neck & face and chill protection for the entire head. You haven’t got much hair & you haven’t got anything for your head with you? 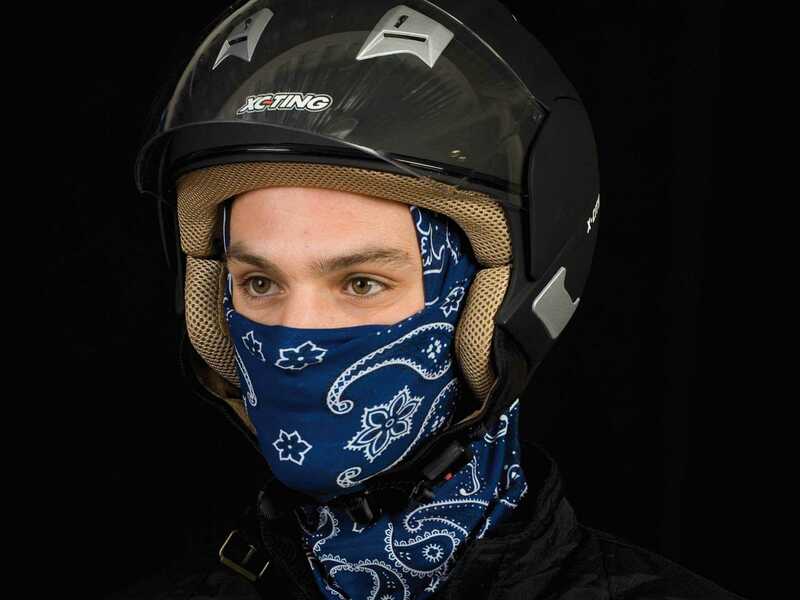 In this case you just wear your Polar Buff® as Balaclava. Wearing a helmet & the chilly sweat is annoying you? Another reason to make a balaclava. What I like about this image is that it shows the Original Buff® part as a double layer. That and the fleece part around the neck gives you warmth. In most cases enough so you don’t really need anything warm on your head. Chill protection will do. You’re heading into extreme cold. Your gear is specialised survival gear. As it turns out it’s not perfect. Welded, tough seems can cause rashes among other things. -Any hard seams. Shows extreme resilience to abrasion. As it does not move over your skin it protects your skin from rashes. -Bad odours. Polygiene™ technology keeps them away for quite some time. This photo shows Roger Chao on his unsupported traverse of the Greenland ice sheet. He is the youngest person to achieve this challenge. I loved the Buff® but you can’t see it on any of his selfies. I asked him why and he replied that he used it as a balaclava / liner. 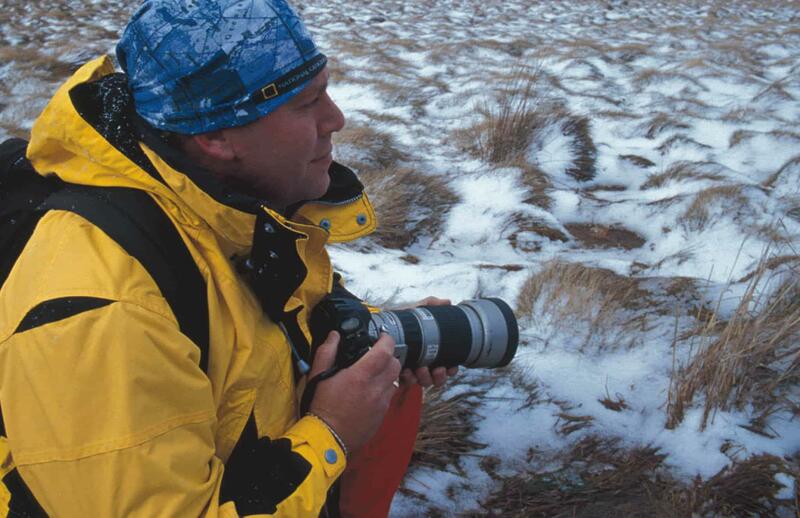 Roger had a National Geographic Collection Original Buff® with him. Your brace giving you rashes in hot & dusty races? A High UV Buff® around neck and brace collar stops this. You ride in a dusty & hot environment. You don’t want to break your neck. So you are wearing a neck brace. Unfortunately sand and sweat gets in and the brace start giving you a nasty rash. 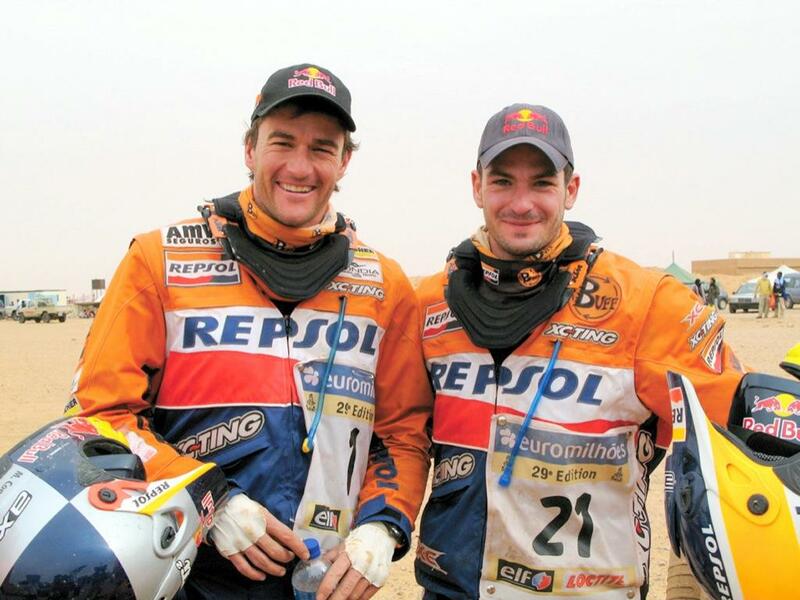 That’s what Marc and Jordi experienced on their rallies. They solved it by wrapping the end of their High UV Buff® around the brace collar. They High UV Buff® seals out the dust and wicks the sweat away. The collar now feels nice and soft on the skin. The heat and sweat: A High UV Buff® draws the sweat out of the helmet to your neck. There it cools you & evaporates. The smelly helmet after a few days: A High UV Buff® is anti-bacterial for lifetime and kills bad odour. No gunky, smelly helmets any more. They are wearing a logo design. I recommend to stay away from too much white in the design. In dusty environments stick to solid colours. Your off the piste, a bit exhausted and maybe even a little bit drunk already. The temperatures are going down. Nice to have a warm beanie on hand. The Polar Buff® can give you up to 6 layers of warmth around the ears and 2 layers on the head. You decide how warm you want it. Want to add some style. Choose a colour you love and wear the microfibre on the outside. The design is a custom made event design. Big events often have them made as merchandise or gifts. The sun is hitting your face and you have to keep your lips tight to keep the bugs out. This wasn’t the experience you were hoping for. 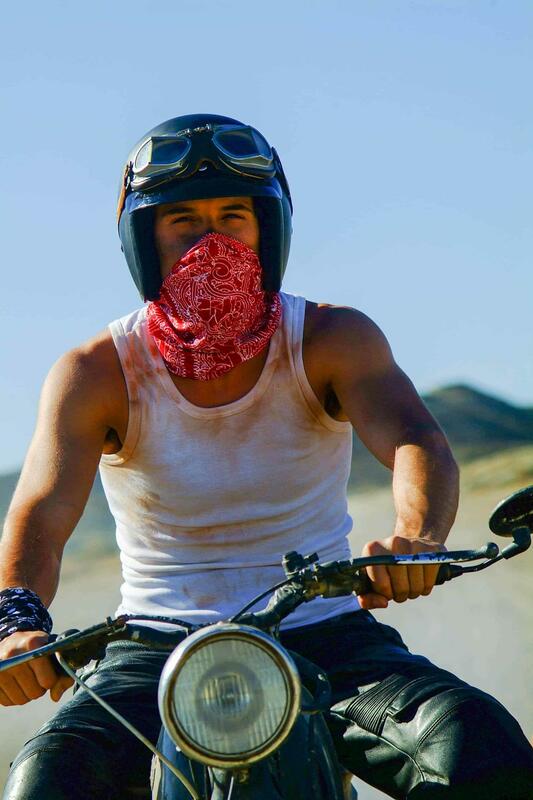 Just take your High UV Buff® and wear it as face mask. Instant bliss. Normal bandannas get soggy with your sweat? A High UV Buff® takes that moisture to cool you. Other face masks slipping? A High UV Buff® stays were you put it. No matter how fast you go. Other tubes loosening? The High UV Buff® keeps its tensions for years. This photo was taken during a photo-shoot for the 2006 Buff® summer catalogue. A bit cheeky to wear only a singlet but I love the shot. Red is a good colour for UV protection and cooling. It also doesn’t get dirty that quickly. It’s cold & you are sweating. Pretty standard situation in XC ski races. The Original Buff® can fix this. Here we have Ben Sim wearing the Original Buff® as neck warmer. Ben is a member of the 2008/09 Australian National Team. He is somewhere in Europe (Looks like 2009 Davos World Cup). The photo was give to us by Finn Marsland. Then trainer of the Australian XC National Team. The design Michael is wearing is the Australian Flag. Source: Finn Marsland. Trainer Australian XC National Team. Given as “Thank You” for supplying the team with the Australia Flag Buff®. Sleeping out in the cold? The Original Buff® as Beanie or Ear Warmer keeps you in the comfort zone. So you’re spending the night out and about & it’s cold enough to snow. Even in a tent a comfortable sleep can be a challenge. If you don’t have your head covered you loose quite some heat there. It takes a bigger sleeping bag with hood to keep you in the comfort zone. A Original Buff® as beanie or ear warmer helps to keep that sleeping bag and thermal mat to a minimum. A normal beanie would move & fall off in the night. The Original Buff® stays where you put it. A sleeping bag with hood feels claustrophobic. The Original Buff® is hardly felt. 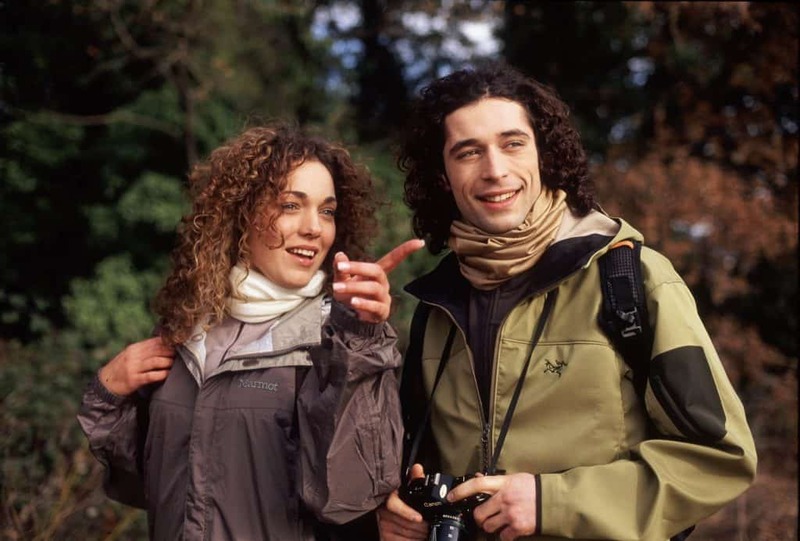 The photo was taken during a photo shoot for the 2007 Buff® winter catalogue. I love the vibe of the image and it brings back great memories of my past snow adventures. The designs are a 2007 skull design and a logo design. Not cold enough for the hood? The Original Buff® as beanie nails the comfort zone between nothing and too warm. A bite in the air and you are active in the cold. You know that if you put a normal beanie or your hood on you’re going to sweat. This is where the Original Buff® as beanie excels. It doesn’t make you sweat. It just keeps the chill away. It’s my favourite application as soon as it gets cool. 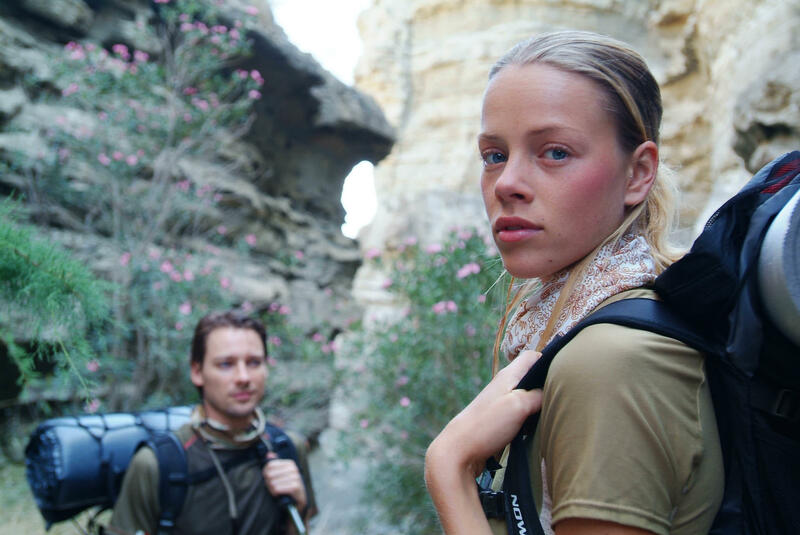 The Buff® in the picture is out of the National Geographic collection. We received for the promotion of the National Geographic collection. No details are known. Pictured is a design out of the National Geographic Collection. Helmet hair after being all day on your bike? 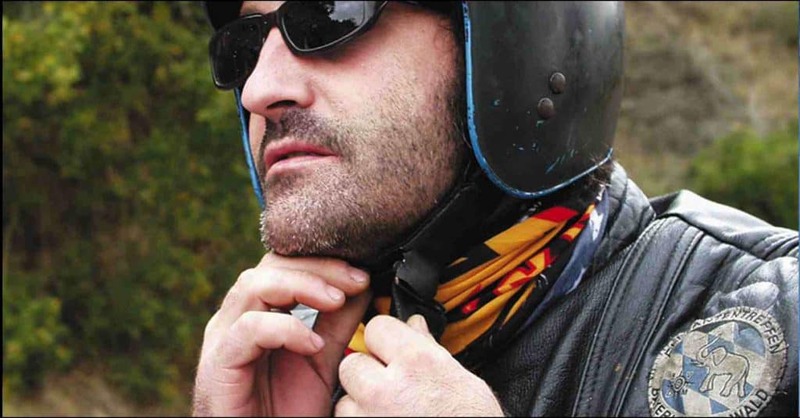 A Original Buff® as hair cover under your helmet keeps it dry & nice. Looking like a broom after taking your helmet off? Just put your Original Buff® as hair cover over your head. It will come out looking like Kath’s on the image. 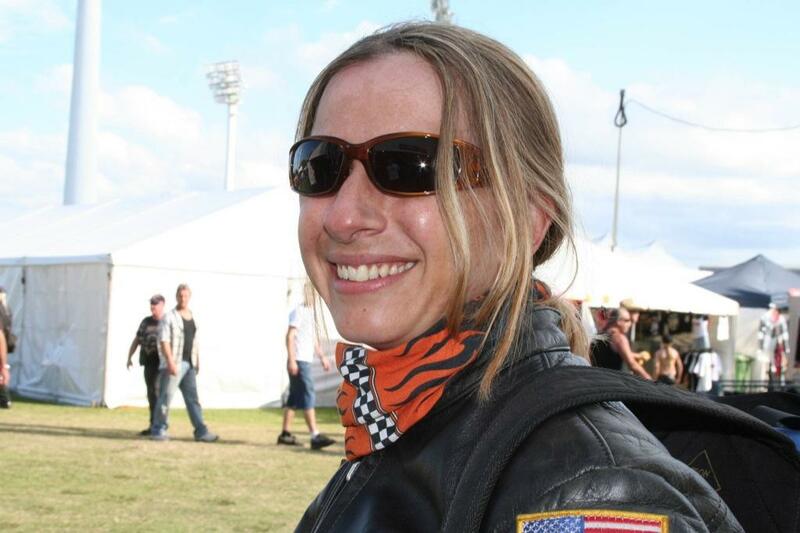 Kath is a motorcycle driving instructor, drag racer, postie biker and loves riding her Harley on days off. She was the first to give us a raving review about Buff® solving helmet hair. She got us into the first Harley Davidson dealership Morgan & Wacker in Brisbane. M&W invited us to join them on the 2004 Gold Coast Bike Week. 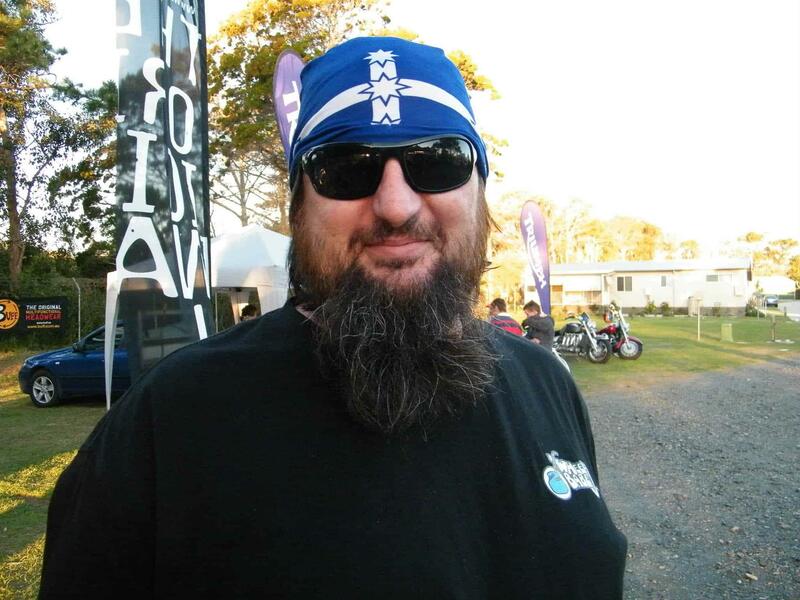 Our first public appearance in Australian motorcycling. This is were the photo was taken. Kath is wearing a design out of the motorcycle colletion. You’ve made it to the top of the mountain. You’re so happy. But you’re also exhausted & sweaty. Now that you’re standing on the peak you’re exposed to the winds & cooling down. Great to have a Wool Buff® as a beanie. The Merino Wool wicks the sweat away & up to 4 layers can keep you pretty warm. I don’t know where Anna & Matt from gettingnowhere.net took this picture. I love it because it so shows why you cycle & climb up mountains. Nothing beats that feeling to make it to the top. The designs pictured are solid colours. Cold chin on your tour? Just pull your Original Buff® over your chin. You’re on tour and your chin starts getting cold. Just pull your Original Buff® a bit up. It doesn’t have to stop at the chin. You decide. That’s the beauty of tubular headwear. It’s just the cold bite that lowers your joy. A fleece would be to warm and make you sweat. That’s were the Original Buff® exceeds. It bridges the gap between nothing (to cool) and a standard neck warmer (to warm). 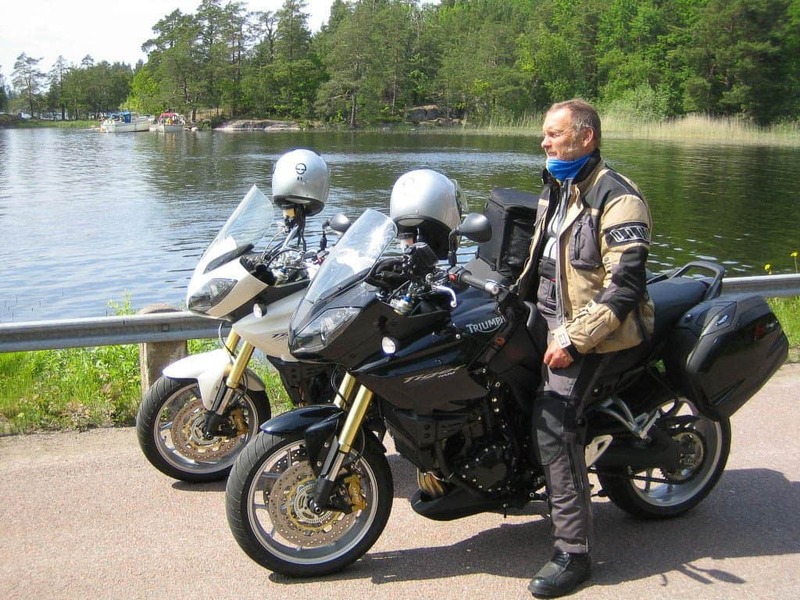 The photo was taken in 2007 during a motorcycle tour of Norway. It shows the Norwegian distributor. Today I would advice to go for the Wool Buff® if you ride in predominantly cool to cold environments. It has more length. This allows for more layers & warmth were you need them. Blue is a very good colour for all environments. That’s why there are quite a lot of blue designs in the collection. Hot under the helmet? The High UV Buff® as helmet liner gives you cooling. It is hot. Very hot. And there is no cooling off in sight. The High UV Buff® as helmet liner / legionnaire cap gives you heat relief. It takes your sweat and evaporates it. Sweat in your eyes? Pull the fabric down to your eyebrows and that’s history. Skin Cancer issues? UPF 20 gives you additional skin cancer protection. The photo was taken at the 2004 24hr mtb race in Kooralbyn, Queensland around noon. Scott is actually wearing a Original Buff® that did a great job. Today with the High UV Buff® available I highly recommend that instead. It gives you more cooling, better moisture management and UV protection. Nothing beats the successful end of an adventure. It was Rian & Dylan’s first adventure. First time on a bicycle tour. First time in Indonesia. They made a great video. You’ll find it on eatsleepsurf.com.au. 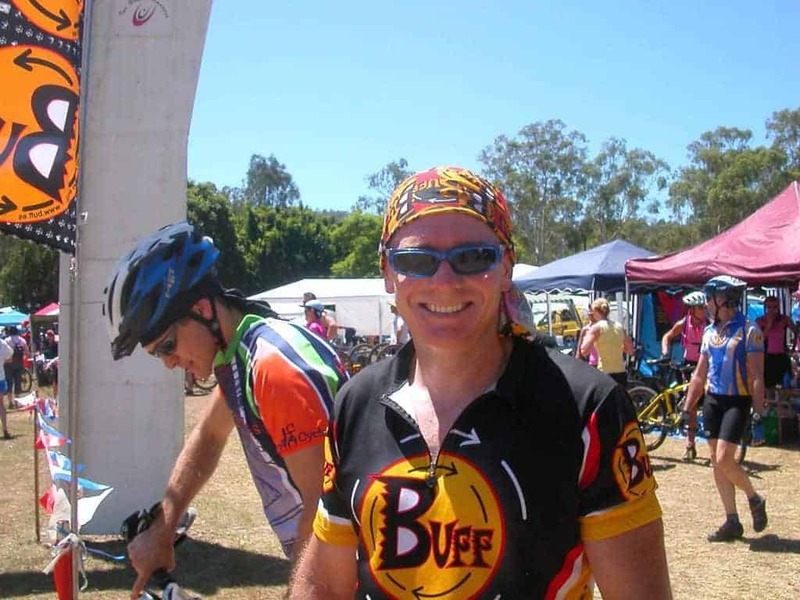 We equipped them with Original Buff®, Cap Buff® and Buff® cycling jerseys. Nice to see that they are wearing both on arrival. 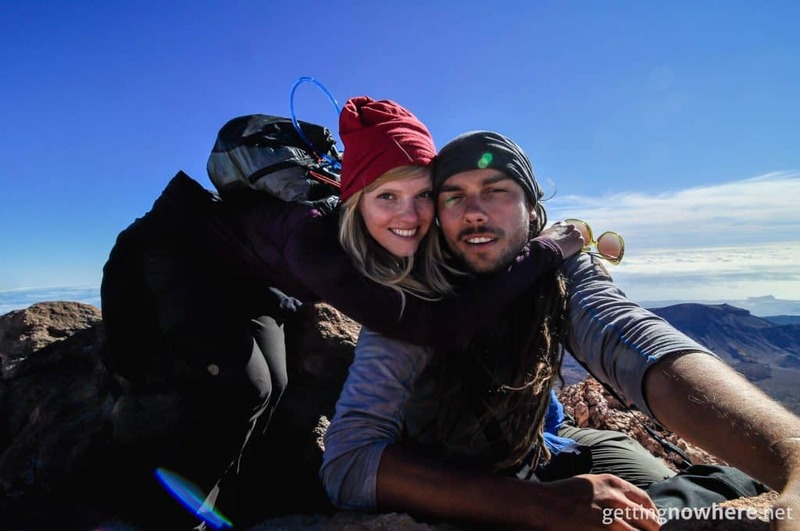 The video reveals that they loved their Buff®’s. One thing: Dylan (left) has a smaller head than Rian (right) and he wears the Cap Buff®. I see this quite often that the Cap Buff® are loved by people with smaller heads. Good that I did Bali before it got trashed. Look at the rubbish lying around. Not the memories I have. The pictured Cap Buff® has been replaced by the Cap Pro Buff. For all available Cap Pro Buff® designs click here. Need some heat relief? The Original Buff® as neck cooler gives you heat relief. It’s hot and you need some heat relief. One way is to provide your back neck with some wet cooling. You can make your Original Buff® in a neck cooler to achieve this. 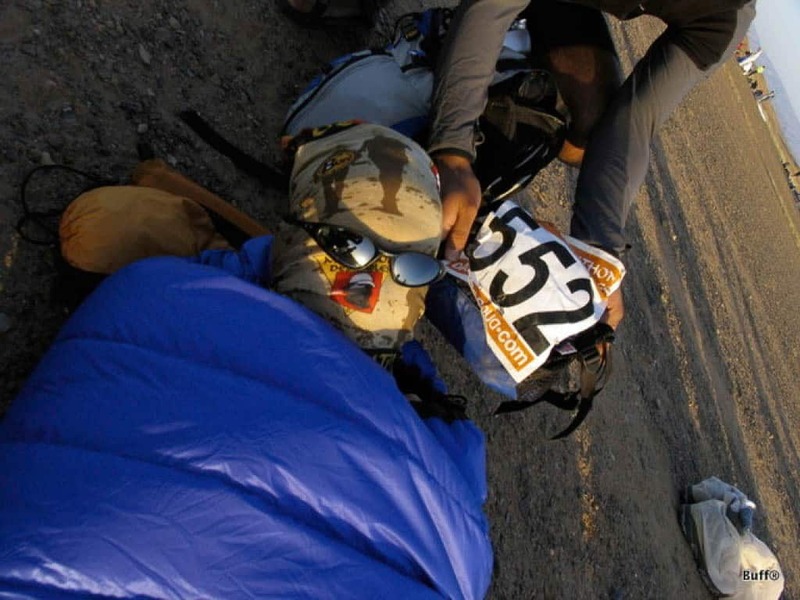 The photo was taken during the 2005 Marathon des Sables. At that time the Original Buff® was the best cooling tube available. Today they issue the High UV Buff® for this event. It has twice the cooling effect as the Original Buff®. The design shown is a custom design for the Marathon Des Sables. The colour doesn’t matter for this application. Cold Face? 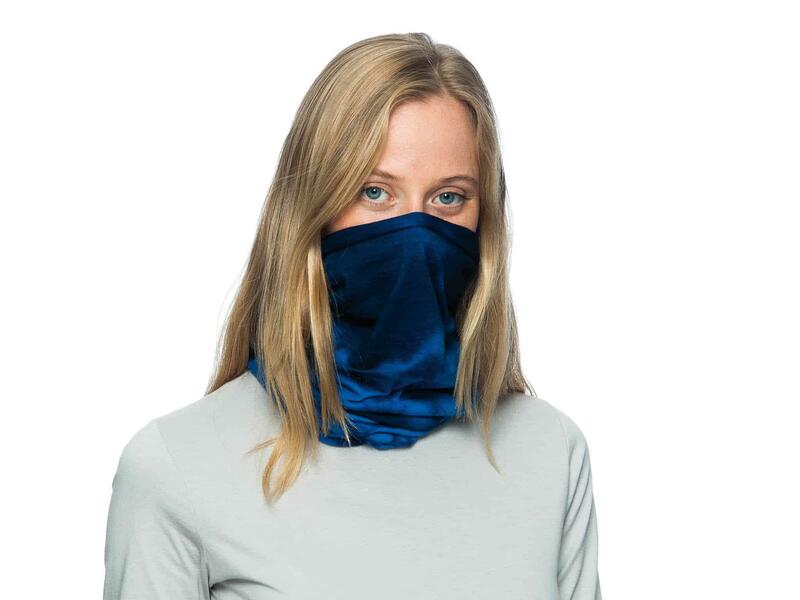 The Original Buff® as face mask takes the bite off while being fully breathable..
It’s dark and the chill is biting during your daily commute. This is were the Original Buff® as face mask shines. It has just the right thickness to take the cold bite off. No sweating as it doesn’t warm you in one layer. It has the right density to allow heavy breathing. No effort breathing in and out. Also works if you are a triathlete on a 5 am training run. This photo was given us in 2004 to promote the Reflective Buff®. Since then I think of it when cyclist rave about the face mask in the cold. 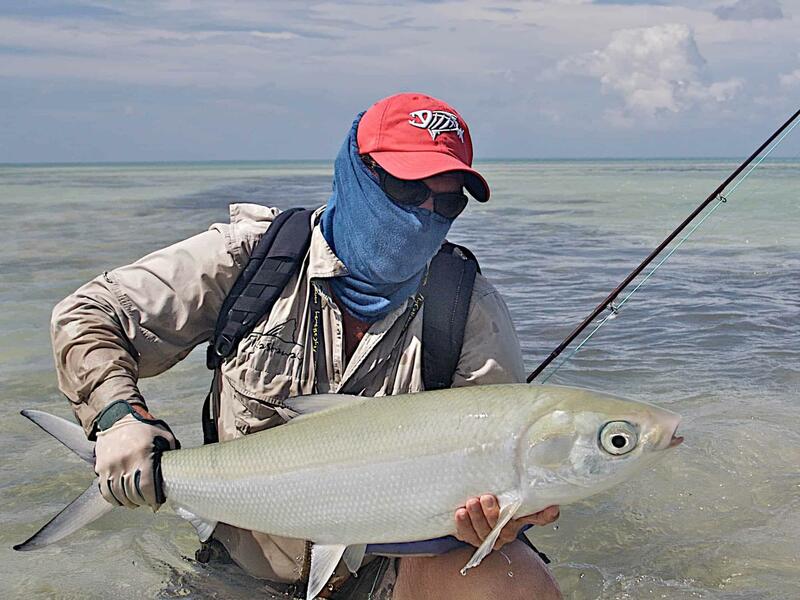 For all available Reflective Buff® designs click here. Sweat in your eyes? Not with a Buff® under the helmet. 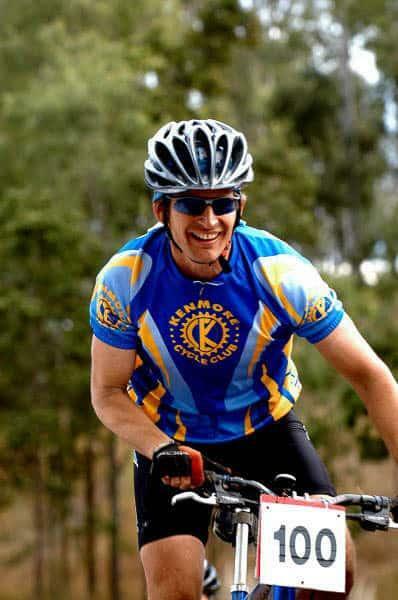 The image shows John from Kenmore Cycles during the 2004 Kooralbyne 24 hr MTB XC race. He is wearing a Original Buff® as legionnaire cap under his helmet. This keeps the sweat out of his eyes and gives heat relief. Today the High UV Buff® would be your preferred product for this situation. The High UV Buff® excels in handling sweat & heat. Have a close look at his right ear. The top is covered by the Buff®. The majority of the ear is uncovered. The ears are your coolers. Cover them completely and you get warm. Cover just the top and you get extra skin cancer protection with the High UV Buff®. The darker the colour is the more the fabric evaporates sweat. Especially the High UV Buff® fabrics cools more the darker the colour gets. I find a mid blue tone like the Australia Flag Blue to be a good compromise. If you are a heavy sweater I recommend something darker. It’s hot & you’ve got long hair. Especially your neck starts sweating. 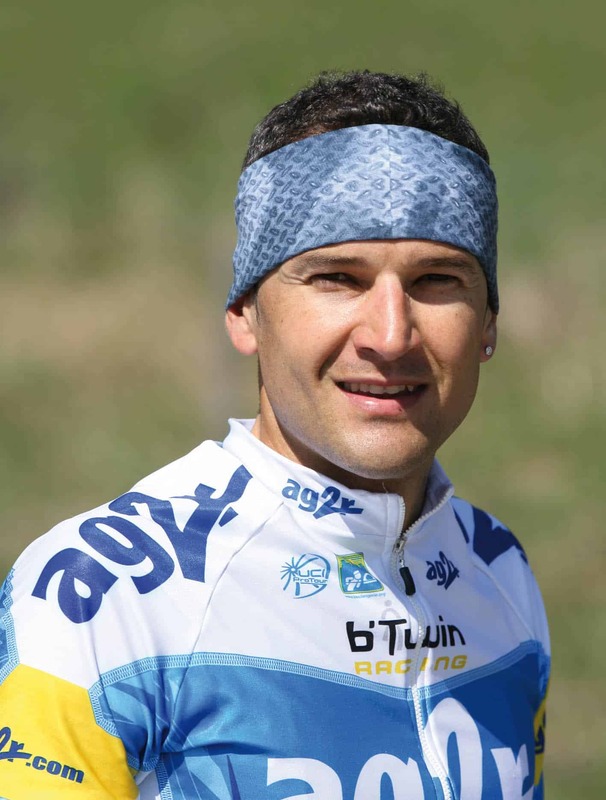 Here you use the High UV Buff® as headband / alice band. You pull the back up to get your hair off your neck. You pull the front down to cover your eyebrows. This way you keep sweat out of your eyes. The High UV Buff® fabric now takes your sweat to cool you. Your neck stays dry. 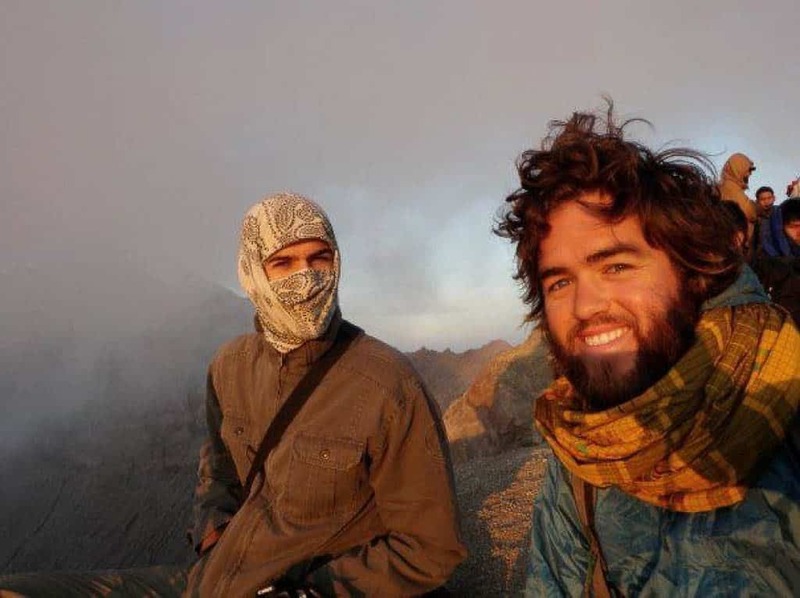 If you’re alone in the wilderness I recommend pulling the Buff® over your entire hair like a hair cover. This way it protects your hair from bleaching or drying out. This photo is part of a photo shoot for the 2006 Buff® summer catalogue. I like it because it shows the High UV Buff® correctly worn for cooling. No air pockets to be seen. Uncovering the ears would improve the cooling though. The design pictured is camo inspired. I wouldn’t go lighter if you’re after the cooling effect. Light colours have a slightly reduced cooling performance. Bitumen Heat and Sun hammering you? The High UV Buff® as legionnaire cap gives relief. A grueling hot race day on Bitumen? The sun hits you in the neck? The High UV Buff® as legionnaire style cap eases the pain. Sweat running into your eyes is diverted into cooling. Just pull the helmet liner part all the way down to your eyebrows. The hot back neck is cooled using airflow and your sweat. Good skin cancer protection on neck and head is provided with the 95% UV blockage of the fabric. We don’t know the rider shown. He is a participant of the 2005 Crocodile Trophy. One of the toughest and hottest MTB challenges on earth. We provided all participants with the first ever High UV Buff® custom design. We wanted to see how it would perform in the hot & humid environment. It did a great job and is in use to this day (2016). The Crododile Trophy design is a black & orange design. Dark colours are great for cooling under a helmet. Copyright: Received this low-res images as “Thank-You” for providing the High UV Buff®. Cycling in highlands you find this bad combination of the sun warming you and the wind chilling you. Add sweating and the resulting chill ruins your experience. This chill is tamed with a Buff®. Rian uses the layer method. In 2 layers the fabric acts like a wetsuit when wet. The sweat is “trapped” between the layers and creates a slight insulation. The warmth is not like a beanie that makes you sweat when active. It’s more like the absence of chill. I just moves you from aggravated into comfortable. Often you only notice that the Buff® is wet when you pull it off. I would now recommend the High UV Buff® for adventures in the tropics. It adds skin cancer protection to the list of features. 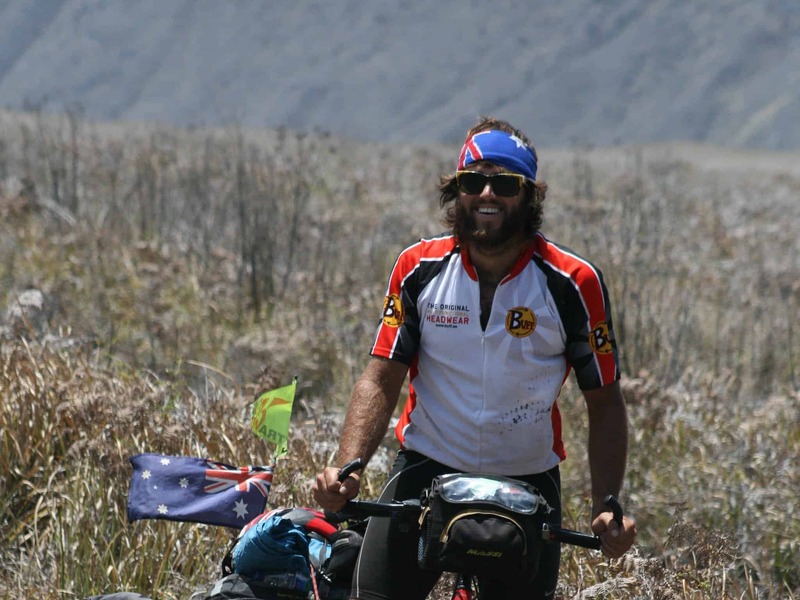 Rian is wearing the Australia Flag Buff®. It’s a Australia only custom design. High up in the mountains. You didn’t expect cold and all of the sudden you’re in the clouds. Great if you’ve got a big beard and long hair to keep you in the comfort zone. If not you can put your Original Buff® to good use. Simply wear it as full Balaclava. Gives you a similar protection to full facial hair. The cold bite is eased without “disconnecting” you with your experience. The effect is more of giving you elephant skin. This image was taken off Rian Cope’s Facebook feed. Rian’s on the right. Rian loves the Buff® too but apparently had no need for it in this situation. The design pictured is called Cashmere Cru. Paisley designs are all time best sellers. It’s beautiful at the moment and you have no immediate need for your Buff®. Just wear it around your neck. That’s what most do. This way it doesn’t get stolen. It turns cold. You quickly fluff it up as a neck warmer. It turns hot. You easily fold it to a neck cooler. This image also shows the Water Gloves. These gloves are engineered to be comfortable & provide grip when wet. Your choice if your hands go into the water quite oftehttps://technicalheadwear.com.au/guides/buff-gloves/water-gloves-guide/n. The design pictured is out of the angler collection. You arrive at your camp site in the dark. You need light and you’ve only got a hand torch. Just wrap your Original Buff® up in many layers to make it very firm. On as headband and the torch tucked in. You’ve got both hands free again. The Buff® in the image is a Long Way Down Original Buff®. It was made by Charley Borman and Ewan McGregor as fund-raiser for Unicef. The design pictured is a custom run for Long Way Down merchandise. Freezing ears on a cold morning? The Original Buff® as ear warmer gets you back into the comfort zone. It’s freezing cold. The race is about to start. The Original Buff® as ear warmer gets you back into the comfort zone. Normal ear warmers are too bulky under the helmet. The Original Buff® molds itself around all nooks and crannies. 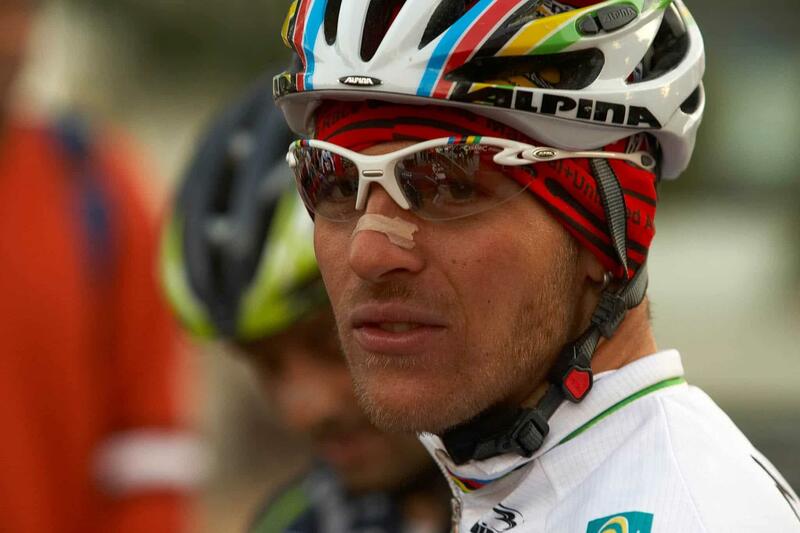 Once the race starts normal ear warmers are too warm. You can adjust the Original Buff® to your preferred rate on insulation. 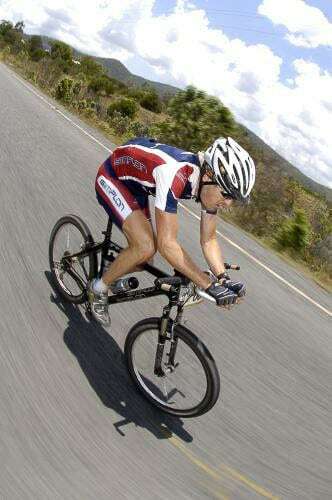 The photo shows 2007 UCI World Marathon Champion Ralf Naef. It’s the start of the 4th stage of the Cape Epic mtb race. He is wearing his Original Buff® in 3 layers. I don’t know if he re-adjusted it for the race. 3 layers would be too much for my liking. It can cause sweating by being too insulating. I would wear mine in 1 layer “riffled” up so I just keep the wind chill away. I suspect that nobody showed Ralf the “riffle” technique. Tells me that the “not so good for racing” 3 layer method is still better than other ear warmers. Red is a good colour for warming. The sun bleaching your hair? The saltwater spray making it tacky? Try the High UV Buff® as hair cover. This photo was taken in a hot & humid area. Around Weipa in far north Queensland. This is were the High UV Buff® excels. “Fish” from weipaflyfish.com.au gave us this shot. 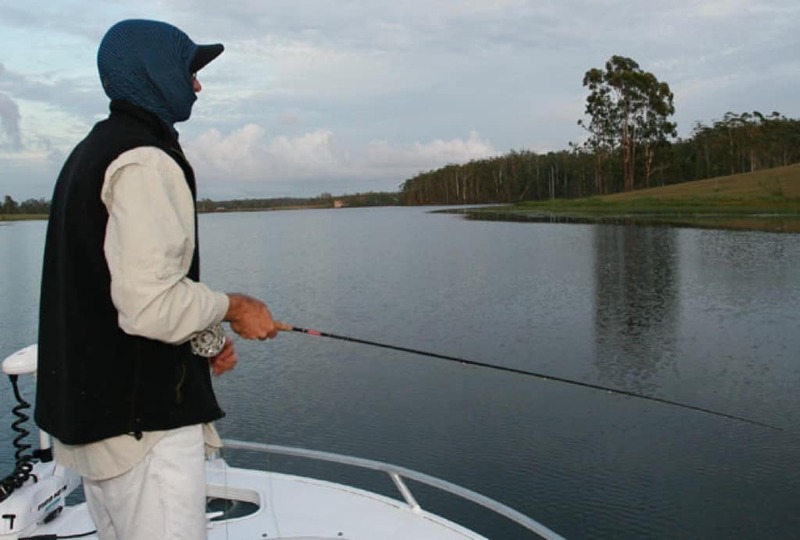 He was the first fishing pro to contact us for the High UV Buff®. He, Gavin Platz & Peter Morse were the first pros to use and talk about the High UV Buff® in Australia. 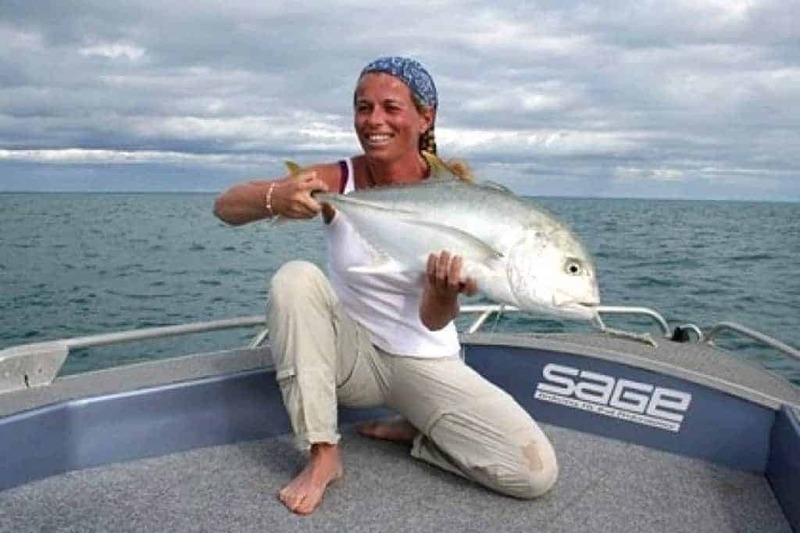 A frontal landscape shot of a woman holding up her catch. She is wearing a High UV Buff® as hair cover. The photo is taken in Far North Queensland so it is hot and humid. 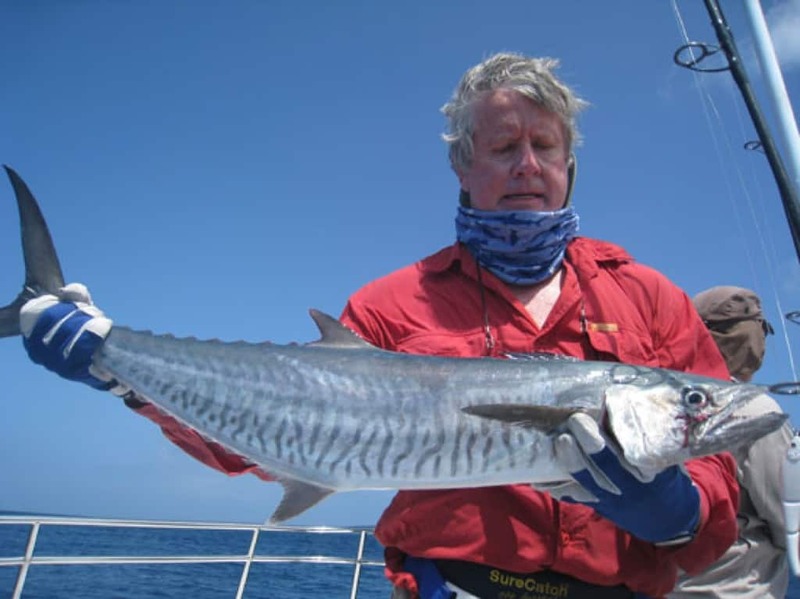 The boat is a professional fishing charter vessel. It looks as if she has been out fishing all day and is really happy about her catch. The design pictured is called Cashmere Blue. Blue is a great colour for UV absorbtion. A comfy headband. 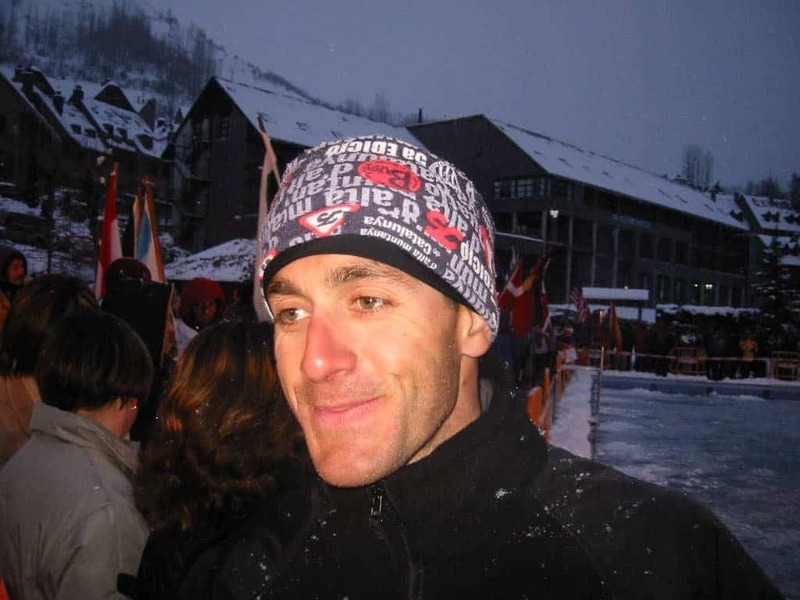 AG2R rider Cyril Dessel before a stage of the 2006 Tour de France. The morning before a gruelling road cycle race. You want some comfort and relax. The Original Buff® gives you comfort where you want it. In this case as headband. Cyril Dessel isn’t covering his ears so I assume that it’s not cold any more. My guess is that it was cold and it got warmer. It happens to me all the time. I put a Buff® one in the cold. Hours later when it’s warm somebody reminds me that I’m still wearing it. I love the comfort a Original Buff® gives. From what I know this photo was taken before a stage of the 2006 Tour de France. Cyril Dessel came 6th that year. Cyril is wearing the design “Steel” out of the 2006 collection. Wet hair after the triathlon swim? A High UV Buff® as hair cover tames & dries it. Your coming out of the water. Your hair is wet and your about to go for the cycle part. This image was taken during the 2007 Xterra Italy race in Orosei. The design is a custom made Xterra Italy 2007 Design. Helmet Hair after the race? 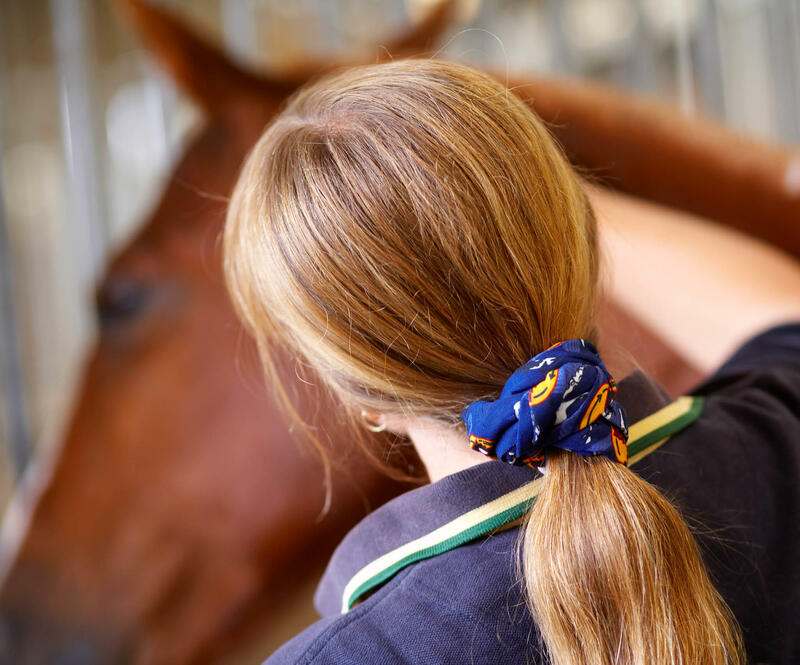 Tame it with your Original Buff® as Alice Band. So you didn’t wear your Buff® under the helmet and now you’ve got helmet hair. At least you can tame it with a Original Buff® as alice band. This is a classing example of not using your Buff® to it’s full capabilities. Tory probably didn’t know that the Original Buff® eliminates helmet hair with straight hair. All you have to do is wear it as hair cover under the helmet. 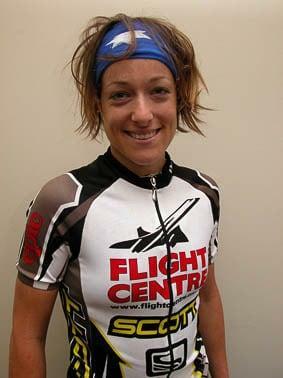 She received the Australia Flag Buff® in 2005 as a team accessory for a race in NZ. The Australia Flag design is a Australia-only custom design. Wristband. One of the many ways to stop loosing it. You don’t really have a use for your Buff® at the moment. Why not wear it as wristband. This way nobody can nick it. 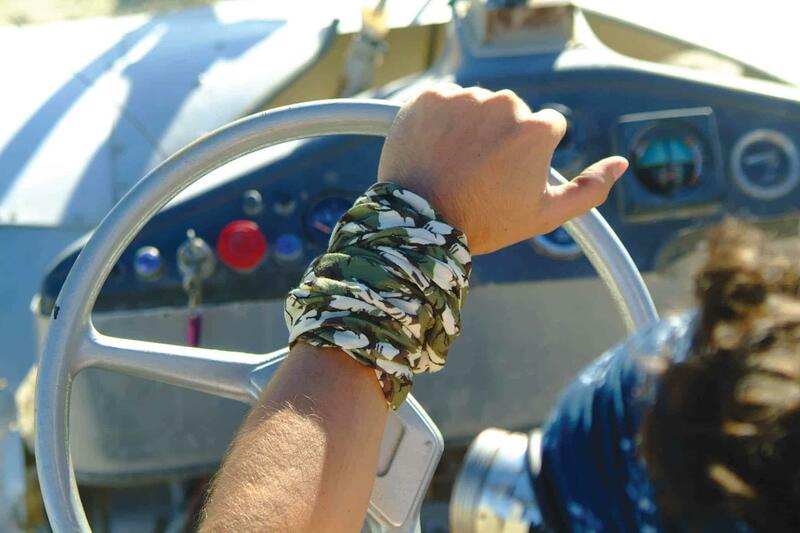 The Buff® shown is a High UV Buff® in a camo pattern. Here are all available High UV Buff® designs. Sweating in the cold? On top of this you have a cold wind blowing. The sweat and wind together produces a icy chill. Who hasn’t experienced this when climbing up a mountain and there’s snow lying around. The Original Buff® as beanie manages to keep the chill away with a minimum of warmth. A normal beanie would make you sweat. It would get soggy, itchy and most probably also start freezing. The Original Buff® as beanie doesn’t really warm. It just keeps the chill at bay and you in the comfort zone. If it gets wet it develops a wetsuit effect. It traps your sweat between the layers. It turns your sweat into a comfortable insulating layer. I surf in winter and this is my favourite application. I come out of the water and my hair is wet. The normal beanies I tried all didn’t feel nice when wet. Even drying my hair with a towel didn’t help much. The remaining moisture was enough to make the beanie itch. With the Original Buff® as beanie I put it on & experience instant comfort. I don’t feel the wetness, the chill & definitely no itch. Hours later when it’s warm Inge tells me that I’m still wearing the Buff®. I simply forget about it. That’s how comfy it is. The photo shows participants of the 2006 Patagonia Adventure Race. Team Buff® came first in that year. The design pictures is a custom design for the Patagonia Adventure Race. I recommend using dark colours here. A little bit too cool for your liking? A Original Buff® as full Balaclava gives you comfort. A cool morning and you want you head feeling comfy? 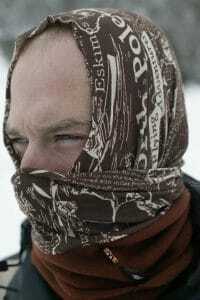 Use the Original Buff® to make full balaclava. A standard balaclava and you sweat. The Original Buff® doesn’t warm you in this case. It just takes the bite off. A bit like instant Elephant skin. Full breath ability and a feel for the weather. Just without the bite. 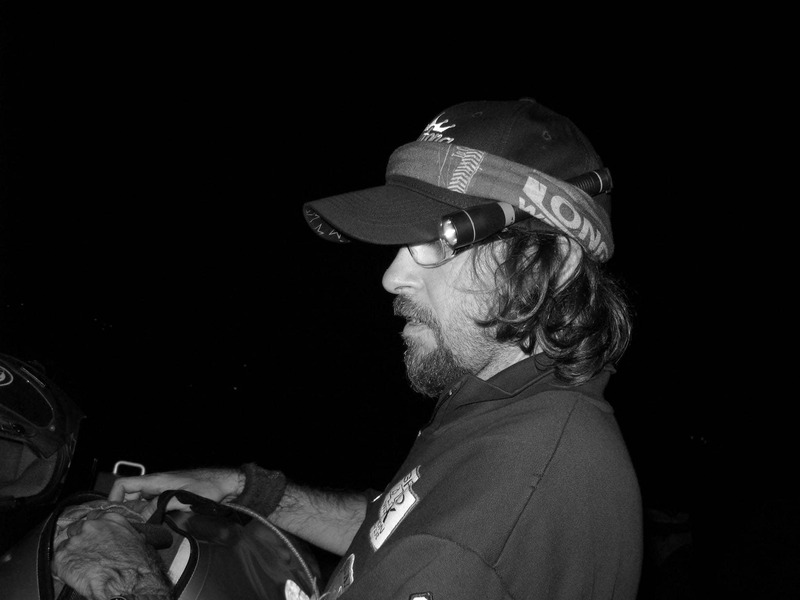 The person is actually wearing the first Visor Buff® version. I don’t know how he dealt with the visor flapping around. It must have been annoying but the comfort probably outweighed that little inconvenience. I recommend a dark coloured Original Buff® for this situation. Gunky helmets? A Original Buff® as helmet liner keeps your hair nice and a new helmet clean. Have a helmet on for some time and it starts smelling. Ever tried to get the pads out in order to clean the gunk that builds up? The Original Buff® gets rid of Gunk and bad odour. It is anti-odour for a lifetime. The technology applied is called Polygiene™. It’s hospital grade technology and the best money can buy. It’s also the only one that is non toxic and non-irritating. 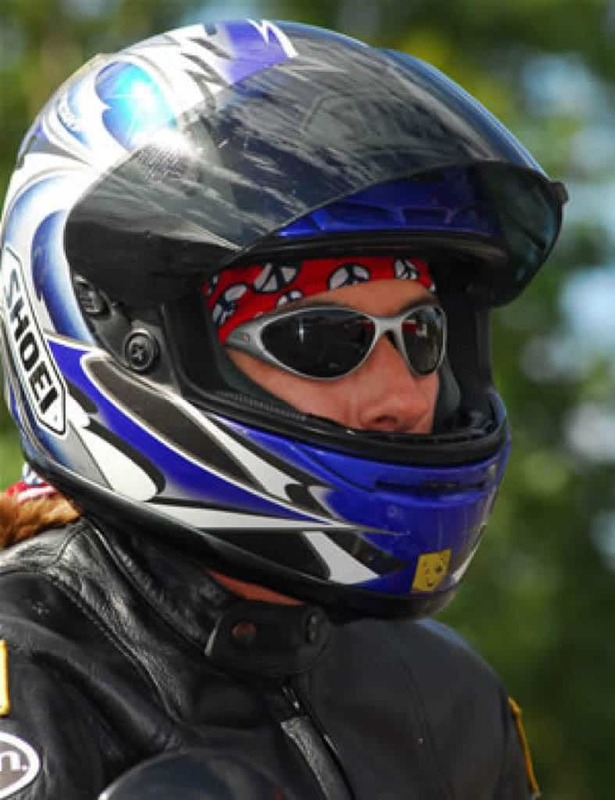 Kath is a professional bike instructor, postie biker and drag racer. Her Harley is also her favourite means of transport. In this image she wears the Original Buff® as hair cover. 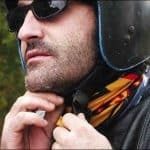 For full face helmets I recommend to wear the Original Buff® as helmet liner / balaclava. This way you keep all the pads clean. Source: Kath Salotti. Received as part of a testimonial. Want to make a statement? Buff® come in all sorts of expressive designs. You’d like to show people who you are and what you stand for. Some Buff® designs are statements. Wear them prominently. Wear them proud. This photo was taken at the annual Wheel Babes meeting in Ballina, NSW, Australia. It’s a women’s only event. The biker shown was the partner of one of the organisers. We had a trade stall there and he spotted the Eureka Flag Original Buff®. He had to get it and wore it proud & prominently throughout the event. The Eureka Flag is a Australia only custom design. Be stylish, be expressive. A Original Buff® gives you the freedom to get creative. Not on your bike and you like to be stylish. A Buff® gives you the creative freedom to express yourself. This photo was taken on a 2005 motorbike trade show in Norway. The guy is a Suzuki team rider and the girl a promo-girl for Buff®. The design is a logo design. Need your hair sorted? A Original Buff® as hair band does the job. Hair flying around? 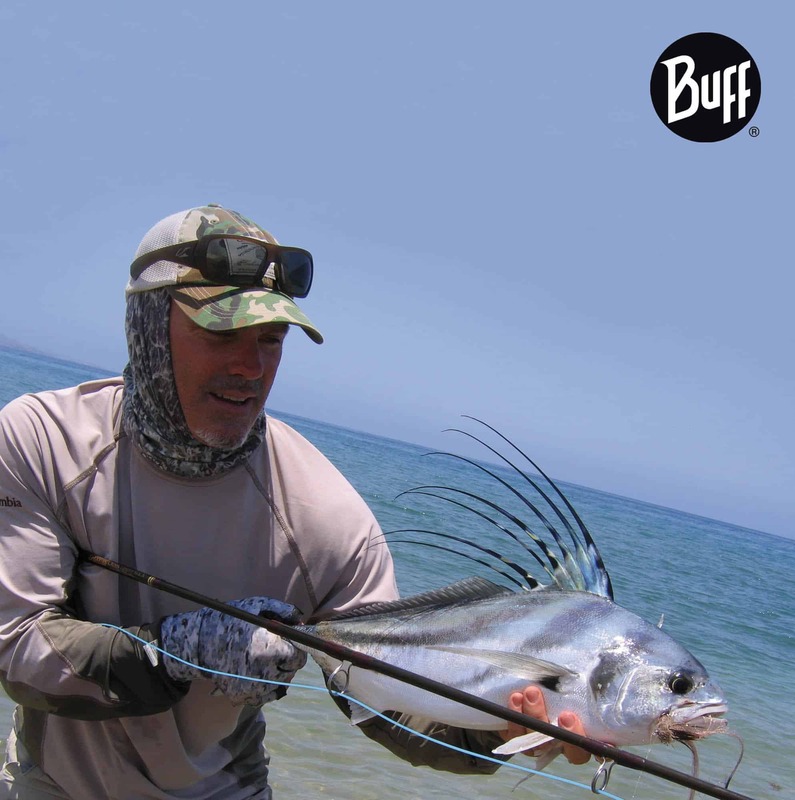 Tame it with the Original Buff® as hair band. One of the many ways to use a Buff® if you don’t really need it. Also a great way to stop it from getting nicked. The Buff® design shown is out of the 2007 logo collection. Here are the designs that are available today. Your diving and your long hair is floating in your face. A neoprene cap isn’t the solution with it’s tight fit. What makes this possible is the extremely good moisture management. The better a fabric distributes moisture the less you feel it. For more info click here. Everything goes 🙂 I recommend some colour to brighten up the dull black neoprene. The design pictured is a custom design for sport event organiser ArocSport. A desert is super hot & dry. On top there is no shade from the sun relentlessly frying you. 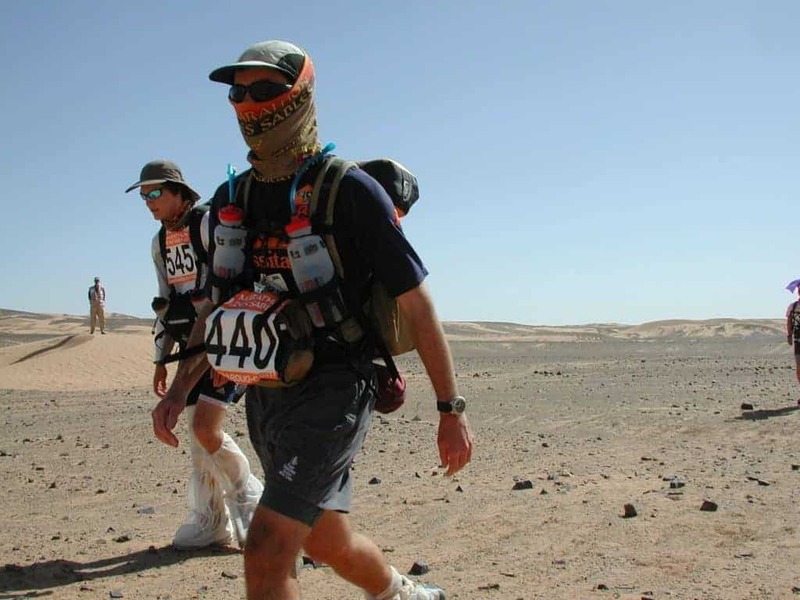 Add some possible sandstorm and you get a feel what a desert marathon puts up on challenges. Participants of the Marathon Des Sables have been using the Original & the High UV Buff® to cope with these challenges in various ways. The most popular is the face mask. Sun burning your skin away. 95% UV blockage gives you additional skin cancer protection. Sweat running down your head and into your eyes. The fabric turns that sweat into heat relief. Sand blowing around. The fabric can filter sand out whilst staying fully breathable. 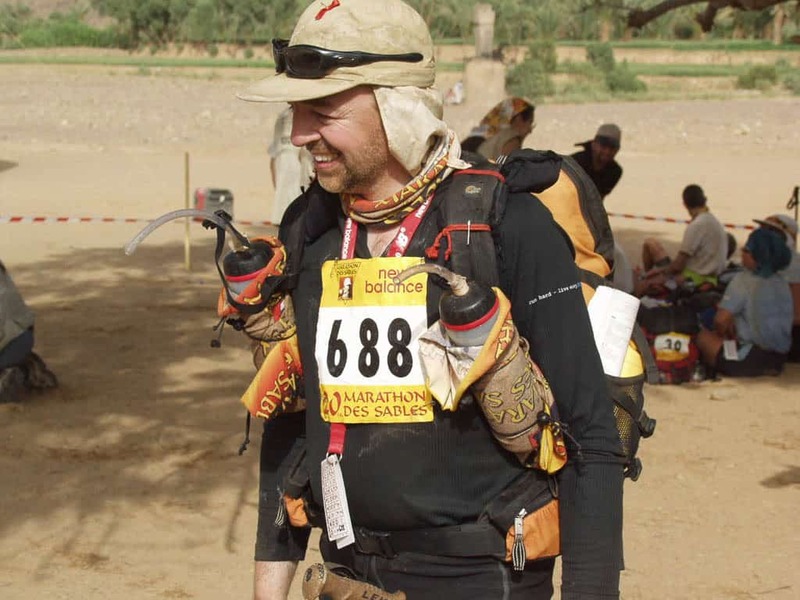 This photo was taken during the 2003 Marathon des Sables. The Buff® shown is the Original Buff®. Today I strongly recommend the High UV Buff® for this event. More cooling and the UV protection that the Original Buff® misses. The design pictured is a custom run for the Marathon Des Sables. Look for similar colours. Not too light. If you are a heavy sweater I recommend going darker with the colour. The darker the more evaporates. This picture was taken during the 2003 Marathon Des Sables. It clearly shows that a Buff® can be used in extreme heat and sun to protect your face. Even for sports. 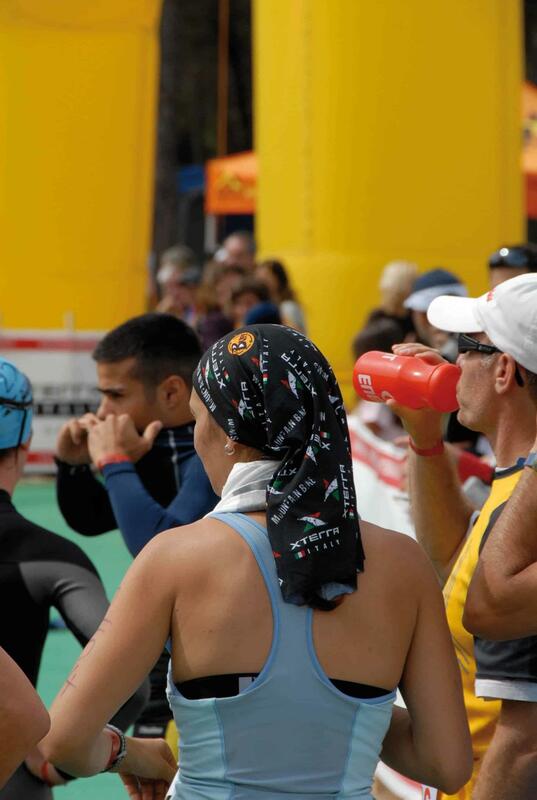 The participant is actually wearing the Original Buff®. At that time the High UV Buff® didn’t exist. It shows you how good the cooling ability of the Original Buff® is. Today the best product for this situation is the High UV Buff®. The fabric is among the highest cooling in the world and comes with added UV protection. It may sound weird but dark colours give you the best cooling and UV protection in extreme heat. Stay away from very light colours. The Buff® shown in the image is a custom Buff® made for the event. To view the High UV Buff® designs click here. Copyright: Distributed for the promotion of the Original & High UV Buff®.